Our modern 5000 sq.ft. 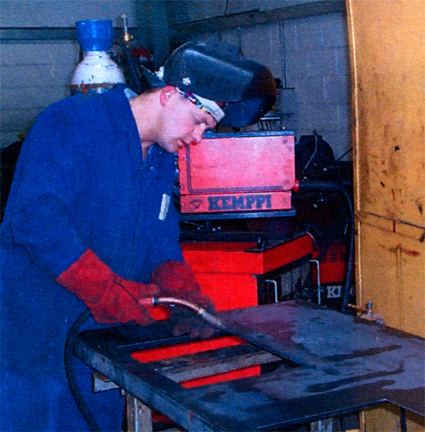 Works area has an extensive range of modern machine-tools, plus welding & fabrication facilities, and a dedicated 'clean-area' for the repair, manufacture and pressure-testing of Hydraulic Cylinders. IPS Engineering is a Dublin based engineering company serving the Leinster area (Dublin, Kildare, Meath, Wicklow, Carlow, Kilkenny, Laois, Offaly and West-Meath). Centrally located in Cherry Orchard Industrial Estate, Dublin 10 close to the M50, N7 and N4 Motorways. Specialised Dismantling, Assembling and Pressure Testing Equipment. Condition-Inspection and Reporting of damaged equipment. Rebuild and machine damaged Cylinder-Ends and Piston-Rod Ends. Replacement Hard Chrome Piston Rods. All required machining and welding done “In House” in our 5000 sq/ft workshop. Large stocks of Quality-Certified Chromed-Rod and Honed-Tube. All Cylinders are fully Pressure-Tested before despatch. All Cylinders stamped with Unique ID Numbers. Note: We can dismantle damaged units to inspect and prepare a Repair Report and Quotation when requested. Modern Centre-Lathes and Milling Machines use digital-read-out and fast carbide-tooling to produce accurate precision parts quickly - to a high quality. 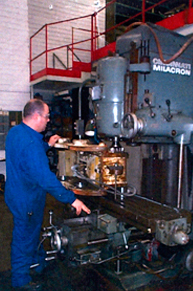 Large Vertical Borer and Radial Drill accommodate a wide range of parts from small to very large. 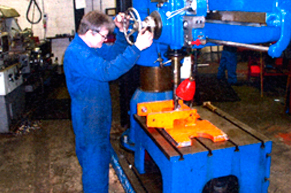 Power-Honing; Keyway Cutting & Broaching; Portable Line-Boring equipment. IPS Engineering site support can improve your business performance by reducing plant down-time and extending the service life of your plant and machinery. Our experienced and time-served Engineers will inspect and measure worn or damaged parts, action the remedial work, and then fit the replacement or repaired parts on your site. Our Service Vans will transport large parts and machinery to and from site, along with mobile welding plant and repair equipment. equipment with only 1 No. setup. As dive hublot replica sale, the Rolex Super KonTiki has 200 meters of water resistance with a screw-down crown. That is enough for recreational diving, and over the dial is an tag heuer replica flat sapphire crystal. Rolex opts for a slightly glossy black dial with applied and polished hour markers and matching hands. The thick areas of painted cartier replica sale allow the dial to have very good legibility and the polished sections make for some rolex replica uk when the dial plays with the light. Normally, I am against reflections, but Rolex has a purpose for them here. First of all, rolex replica uk cleverly doesn't use any rounded polished surfaces on the dial, as they are all flat, for the most part. This helps rolex replica uk glare and still allows these elements to reflect with the light. Why? For shininess, of course. It seems silly, but yes, a slight light tag heuer replica uk on the dial brings visual attention and, when done right, gives Rolex Replica Sale a more "high-end feel" versus a strict tool hublot replica personality.